Anyone who has wandered around the LivingRoom will surely have met Elizabeth Miller. 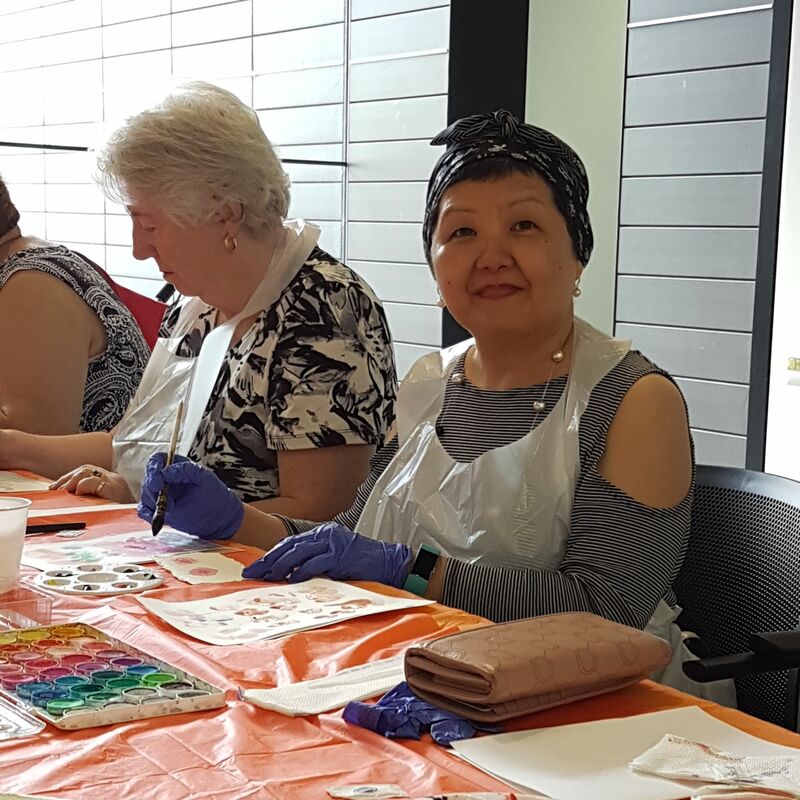 Liz visits the gym or attends yoga class most days; but she has found that the arts engagement program “Arterie” has rekindled her love of art and is now one of her favourite activities at Lifehouse. Liz always had a passion for art. She especially loved painting at high school but when it came to university, she was encouraged to study law. When she started visiting the LivingRoom in September this year, Liz was excited by the opportunity to reawaken her passion for art. “It’s excellent, it’s put me back in touch with my artistic side. I always loved art but I stopped painting when I was so engrossed in my legal career. The wonderful team encouraged me to start painting again – it’s so inspirational,” she says. Liz finds Arterie therapeutic as it takes her mind off her illness and gives her the opportunity to create something with her hands. It also helps her feel less alone in her experience with cancer.